What seems so obvious, can often be overlooked. St. Patrick's Day, for me anyway, marks the End of Winter, and the beginning of Spring. One season of the year may attempt to hold on, but it's obvious that another is just starting. But it is more than just a marking of time, it's a time for family, traditions, laughter, and of remembrance. Many people seem to have forgotten that the Irish have not always had an easy time being in America. There was a time others looked down upon the Irish as lower-class citizens. They were the working poor, and believed to only be drinkers, fighters and poets. They were ones that did the jobs no one else wanted, and many died trying to build a better life than the ones they left behind in Ireland. Some lived to see that come about. If they could see us today, would they be proud of what we've accomplished, what our people have become? I'd like to think that my Irish Ancestors would be proud of the woman that I am. My Irish Grams instilled in me a sense of family, loyalty, passion, and hospitality. She may have only been a waitress, but she was rich beyond means in love, and family. She could be harsh at times, but I never doubted her love and faith in me and my abilities. She always had encouraged me to go to cooking school, to go out in the world, explore, sing, laugh, dance, and make lots of money so I would not know how being poor felt. But above all she wanted me happy. 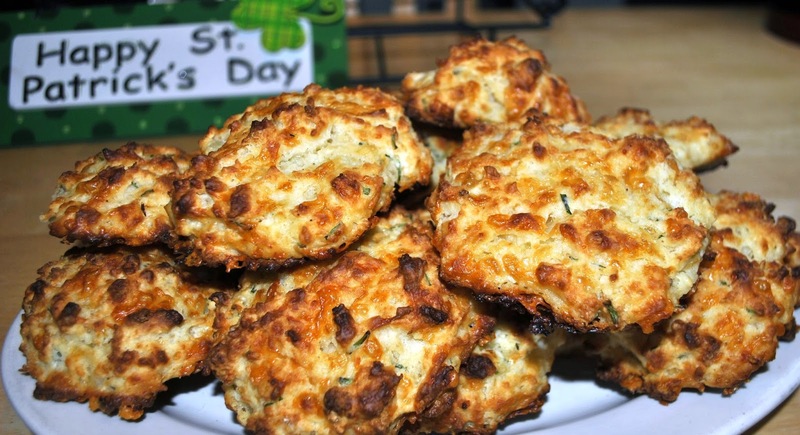 So this St. Patrick's Day I wanted to create a menu that honors the Irish-American. The hardworking man and woman that try to build a better life than those that come before them. Ones that try to not to take advantage of others, that live a life full of passion, family, faith, love, and goodness towards others - no matter their background. That to me, is what being Irish is all about. It's something I celebrate all year long, not just on St. Patrick's Day. But then again, any excuse to celebrate LIFE is a good reason to the Irish! Grind the spices, salt and pepper in a coffee grinder. Add the ground spices and minced garlic to the breadcrumbs in a large mixing bowl and mix together. Add the ground pork to the seasoned breadcrumbs and combine using your fingers. Add half of the beaten egg and mix thoroughly until the meat mixture begins to stick together. Discard the excess egg. 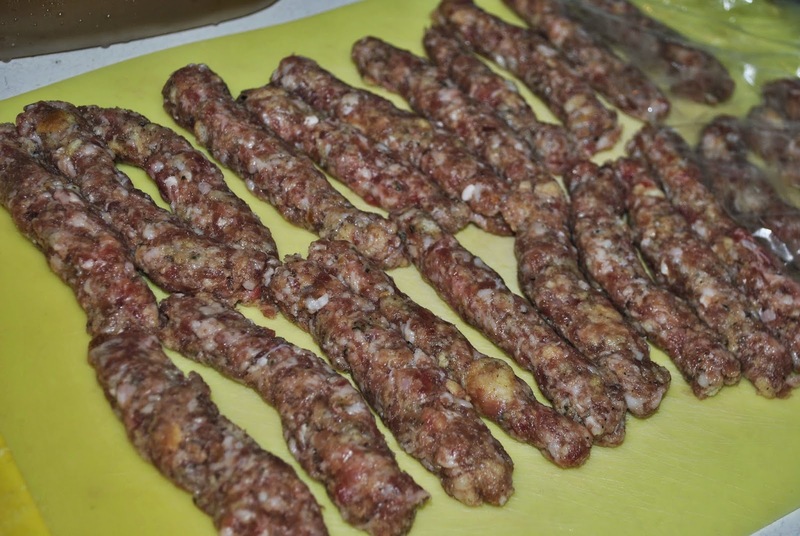 Using your hands roll the sausage, forming 4 cylindrical shapes about 3/4 inches thick and 10 inches long. Set meat aside. 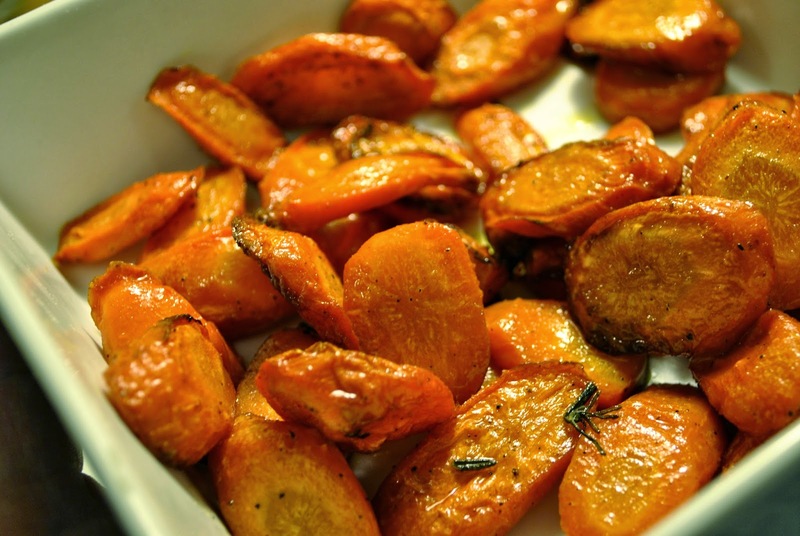 Preheat the oven to 400 degrees F. Line a large baking tray with parchment paper. Open a thawed puff pastry sheet on a floured surface. Cut into 3 strips about 3 inches wide and 10 inches long. 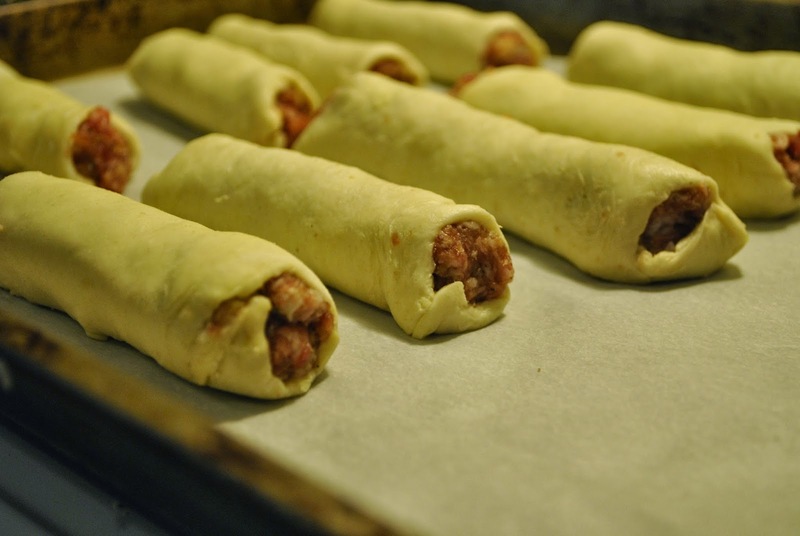 Place a 3 inch piece of the pre-formed sausage meat on the pastry close to the edge. Roll the pastry around the meat, overlapping underneath by one inch. Cut the pastry roll, then roll it back to brush the lower layer with egg wash. Re-roll and seal the lower seam. Using a sharp knife, cut two diagonal 1/2 inch slits in the top surface of the roll. 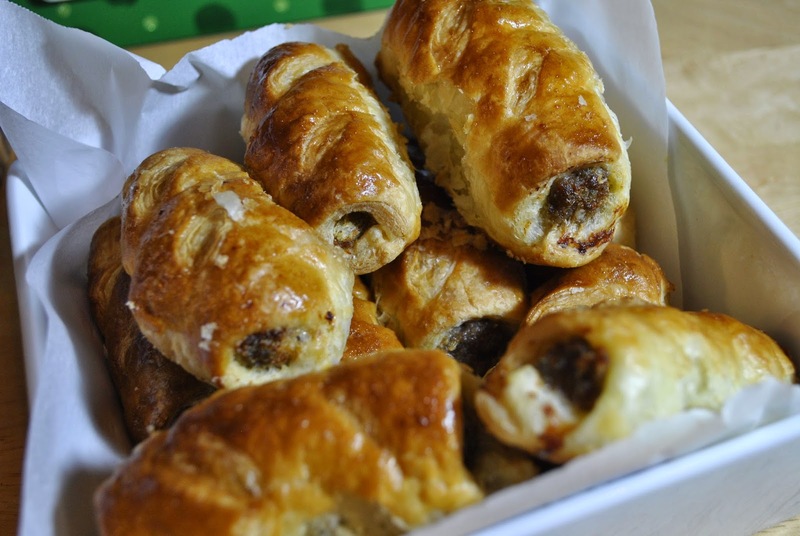 Repeat the procedure to form 18 sausage rolls. 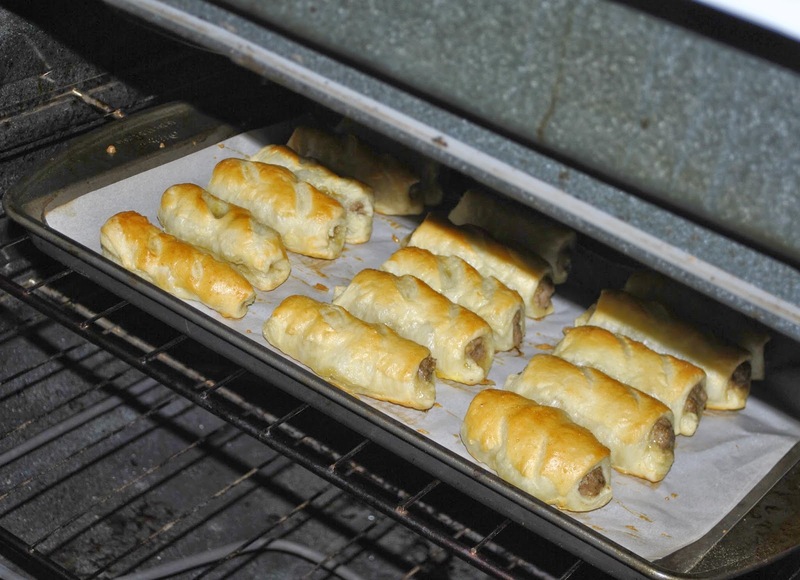 Lay the prepared sausage rolls on the baking tray in rows and one inch apart. Bake in a 400 degree F oven for 20 minutes. Lower the heat to 350 degrees and bake for a further 5 minutes. Remove from the oven when golden brown on top. Cool the sausage rolls on a wire rack. Goes GREAT with Guinness Mustard! Mustard of your Choice (Stone Ground, Dijon, Honey Dijon, Hot, Sweet, just NOT yellow). In a bowl, whisk Guinness into Mustard 1 tsp at a time, making sure the mixture isn't too thin. Taste. Add more Guinness to your liking. 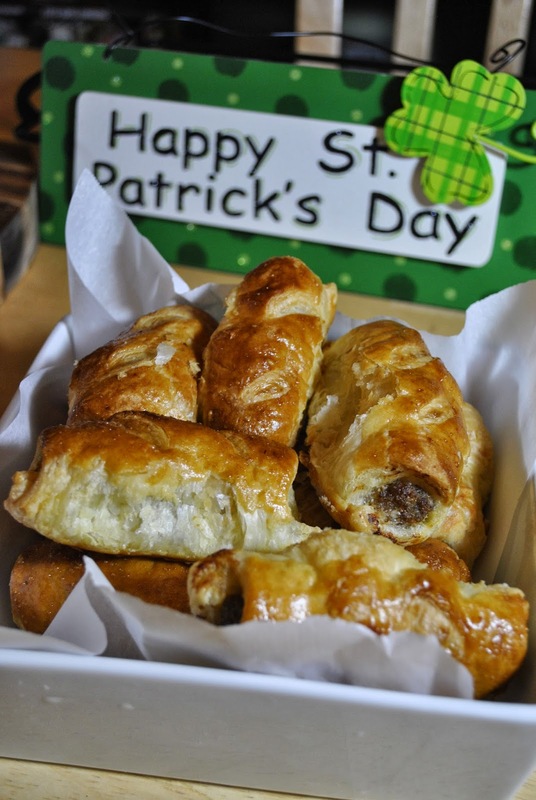 Serve with Irish Sausage Rolls. In a large bowl, whisk together flour, baking powder, baking soda, sugar, salt, and cayenne pepper. Work butter into flour mixture with a pastry cutter or your fingers until butter is incorporated and pea-size lumps remain. Stir in cheddar, then buttermilk and chives just until dough comes together. Using two spoons, drop 1/4 cup quantities of dough onto prepared baking sheets, spaced 2 inches apart. Do not use your hands! Cool on a wire rack and serve with butter. First, did you know that Corned Beef is not popular in Ireland? It's an American dish. Beef was not as prevalent in Ireland, and most Irish couldn't have afforded it anyway. But here in America, where we have land as far as the eye can see, Beef is the meat of choice. One year I'd like to try making corned beef from scratch. Yes, I mean actually to brine the meat myself and not relying on those wondrous packages that come in the grocery store. 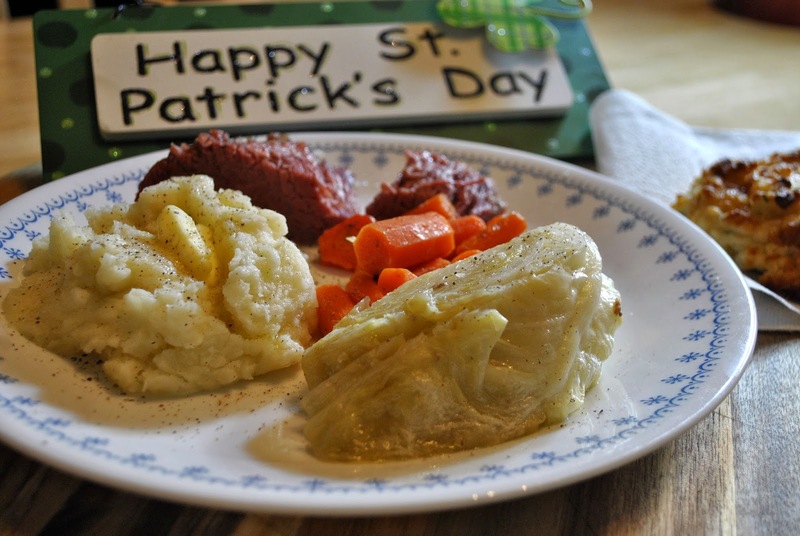 Yet I shouldn't have to tell you how to make Corned Beef, Cabbage and Mashed Potatoes. That's something every Irish-American woman should know how to do..... But just in case you didn't grow up in the kitchen helping cook with your Aunts like I did, here is a fool-proof way to cook your Corned Beef. The longer it cooks, the more tender it is. Go to the Store the week before St. Patrick's. If this is your FIRST time making Corned Beef, buy a Flat Cut Corned Beef. 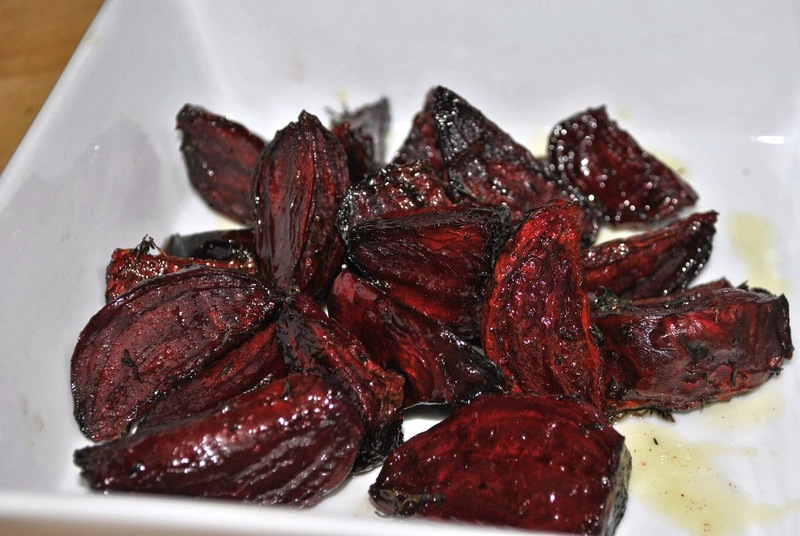 They are more expensive than a point cut, but it presents nicer to a crowd, is easier to cut and has less fat. If you're on a budget, and you love to make Corned Beef Hash, save your money and buy the Point Cut. It's got more fat on it, and is non-uniform shape is perfect for funky portions. If you find a good sale on Corned Beef, buy two. Put the second one in the freezer for use for later in the year! So when should you start cooking your Corned Beef? My fool-proof method is to use a crock-pot. Count back 10 Hours from the time you want to serve your dinner, add 30 minutes for rest. Write this time down. This is the time you want to start your Corned Beef. Don't have 10.5 hours during the day? Trying to plan an early dinner? You can even start your dinner right before you go to bed. That's the beauty of a crock-pot. When it's time to start the corned beef, place the Corned Beef, with all package juices in a large crock-pot, cover with water and set on LOW for 10 hours, add the spice packet. 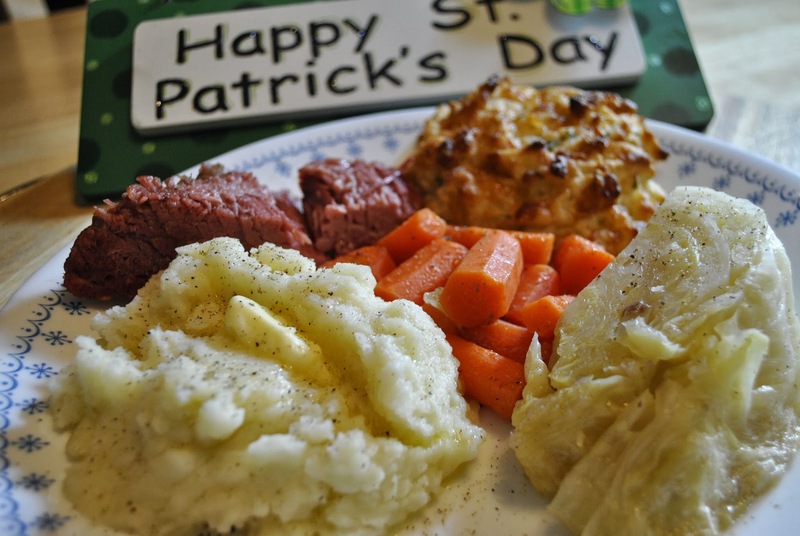 About 1 hour before the end time, place your cabbage and carrots in the crock-pot with the Corned Beef. 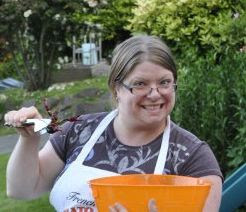 The cabbage should be cored and quartered, the carrots cut into thick pieces. After 10 hours, remove from the water and let rest for at least 15-20 minutes before carving diagonal across the grain. Remove Cabbage and Carrots when done to your liking. Add to stockpot, cover with water, add salt. Bring to a boil, cook till fork tender. Add BUTTERMILK, Butter, Salt and Pepper and Mash. Cover and Keep warm until dinner time. But enough teasing.. Here are the Dinner Plate Shots. There ya go. St. Patrick's Day 2014. It was good. So good that I didn't have much leftovers. So now I need to go back to the store and buy another corned beef to put in the freezer. Now that I'm hungry, it's time to go make Beef n Stout Stew with Dumplings and Strawberry swirl Mini-Cheesecakes.